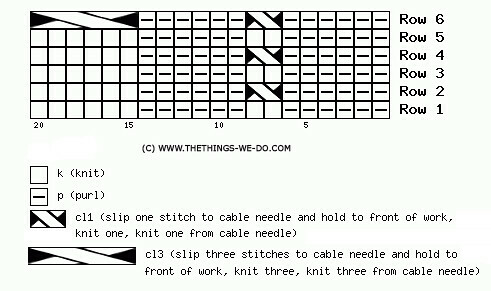 The pattern is multiple to 20sts, use this info in case you wish to change the hat diameter. 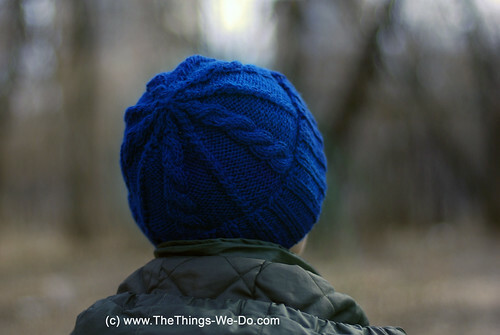 Cast on 100 stitches using circular knitting needles and join for knitting in the round. Knit 10cm/4in of K2,P2 rib. Cut yarn, leaving the long tail. Thread the tail through the remaining ten stitches. 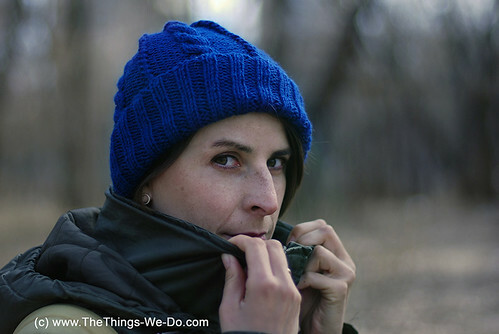 Pull tight and weave in the end on the inside of the beanie. You’re done! 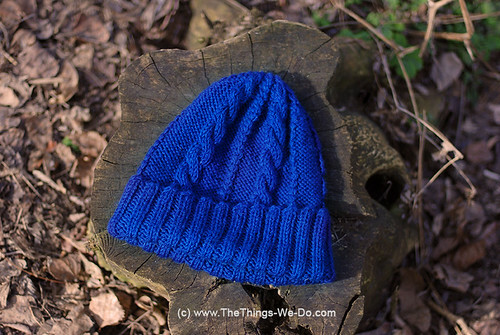 The Simple Cable Beanie is ready! 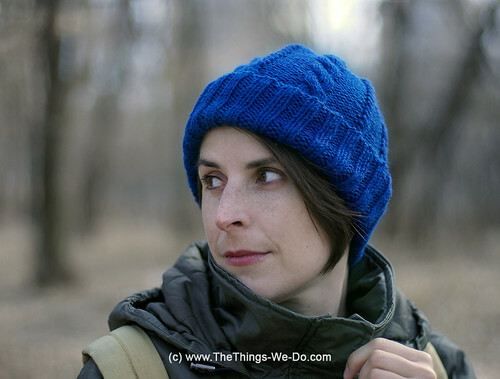 Here are a few photos of the finished beanie and of me wearing it.